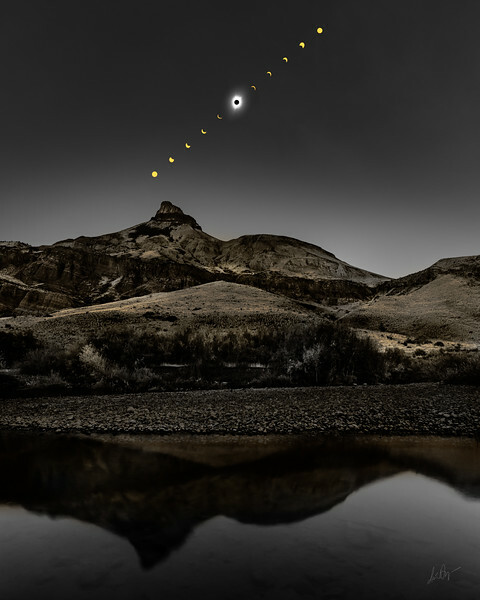 Images of the total solar eclipse on August 21, 2017, photographed in Oregon at the John Day Fossil Beds National Monument. Available images for print ordering include a sequence composite showing different phases of the eclipse, and a single image showing the moment of totality. Both are available in color or black & white/sepia.